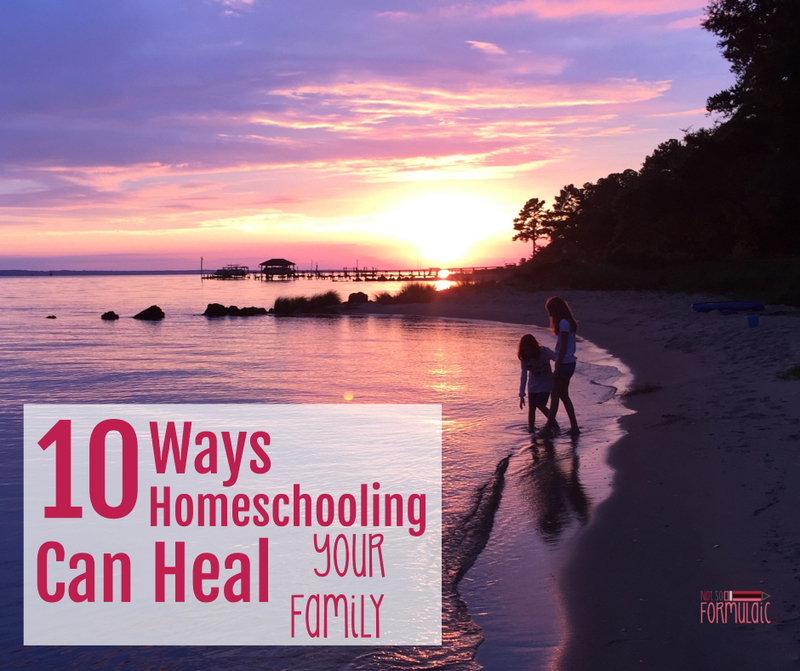 Homeschooling can heal your family. Here are 10 ways to find joy again. The phone rings. The number is familiar. I can barely hear the words for the screams. STOP IT!!!!! LEAVE ME ALONE!!!! There is a crash and I say I am coming. A small figure appears at my side. I scoop the toddler to my hip. My voice is hoarse, a sound I don’t recognize. I hear the dial tone blare as we leave. 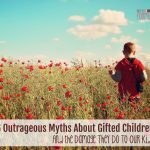 Our daughter is the oldest of three poppies, a twice exceptional on the spectrum by a thread. At five she was the picture of asynchronous development – we just had no idea what that meant. G was a complex kiddo. A gifted artist and a voracious, early reader, she could discuss The Hobbit but had trouble making friends. She suffered meltdowns of epic proportions long past the age for such things. G’s focus was precise and singular: she’d sit for hours painting ducks or molding clay. We didn’t know any of this was out of the ordinary. It was who she was, and we loved her just the same. Until we enrolled her in kindergarten. I describe G’s first and only school year as an epic battle. Our family was the only casualty. 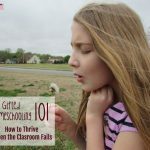 Looking back I can see it was a confluence of factors, but at the time I blamed two major parties: my daughter (whose behavior was mortifying) and the school (whose rigidity was key). All year long I argued and advocated. I doubted our skill as parents and weighed our sanity. I put a great deal of pressure on our daughter and said a lot of regrettable things to the faculty. It ended poorly, to say the least. Kindergarten wasn’t supposed to be like this. She should have had fun with new friends and had support from the adults around her. Instead our daughter was a social and educational outcast. Her mother was mortified, overwhelmed, and peeved. A great rift appeared within our family structure. Our days weren’t ordered by love, but by someone else’s schedules and routines. We fought and we sniped and we fretted and we pressured. External appearances were king. By May I knew we needed something different, and yes I’m ashamed it took me that long. I brought her home for first grade and we’ve been homeschooling since then. It’s brought more healing than I could have foreseen. Homeschooling isn’t for everybody, and I know school works well for some families. 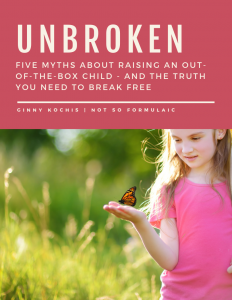 But for those of us with kids whose abilities and aptitudes place them on the fringes of traditional education, homeschooling gives us space to breathe. 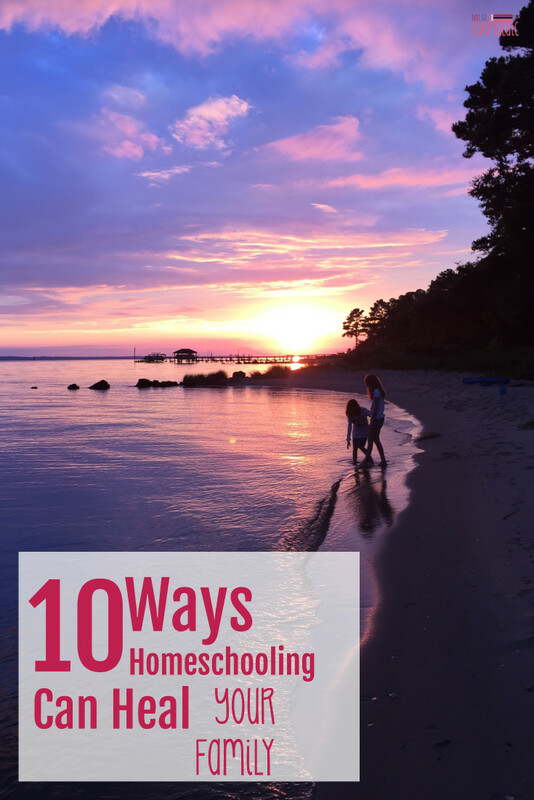 With homeschooling we make our own schedule – we aren’t slaves to someone else’s routine. There’s no pressure to perform to outside expectations; there are no bells to dictate our days. I love that we can choose what works when it works for us. When our current trajectory needs tweaking, we are free to make that change. The chaos of traditional school was overwhelming. From nightly homework and reading logs to fundraisers and special events, there was always something – something going on, something to attend, something to be a part of on a “volunteer” basis. With homeschooling, we can choose to do it all, do a little, or do nothing – there are no requirements when we set our own rules. Our household is peaceful and reserved for our family, and we benefit from this in spades. If you’re interested in delight-directed learning, this is where homeschooling shines. 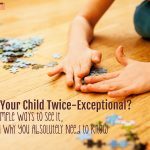 Your children can pursue rabbit holes without distraction, exploring every avenue of interest. With homeschooling, learning isn’t drudgery, but joy. It’s a pursuit you enjoy together at a pace that works for you. Because we don’t adhere to a school schedule, we are able to participate in opportunities we might otherwise miss. We’ve enjoyed special events at museums, nature centers, science labs, and local resorts, and there are co-ops and programs to immerse us in the arts. But it isn’t just the physical opportunity which inspires us – it’s the spiritual one, as well. We have the opportunity to grow together as a family, to take part in activities as a unit instead of alone when a rare school trip arrives. Thanks to homeschooling, my children can sleep. We don’t have to rush out the door every morning; we don’t have to stay up late working on projects or homework. Our school day is done by 2PM, and the rest of the afternoon is for play. Homeschooling gives our hearts and our bodies the pause we need. We are living life instead of rushing through it. While I do think there is benefit to classroom learning, it can be an intimidating place. Thanks to homeschooling, my children can build the majority of their skills in a safe, nonthreatening environment; there’s no judgement on the living room couch. When we do take part in classes, my kiddos have the confidence they need to participate with joy and enthusiasm. Cultivating their hearts at home where their comfortable serves them well when they’re involved in groups. One of the best things about homeschooling is that it gives my children space. They have the room and opportunity to be the people they want to be. We can build forts, hold reenactments, write novels, or stage plays. There is room for imagination, and it gives my children steam. And I don’t just mean the world around us. We can explore our faith, our personalities, and even our relationships in an environment that encourages discovery and discussion. For our family, school meant chaos. We were pulled in multiple directions without a chance to catch our breath. 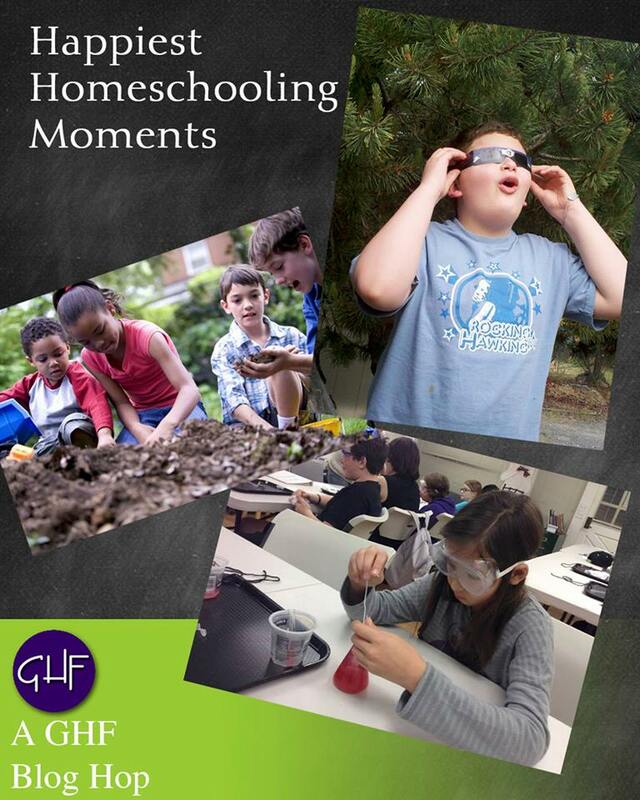 With homeschooling we have time to focus – on togetherness, on learning, on growth. By the end of G’s kindergarten year, I loved her. I wasn’t so sure that I liked her. 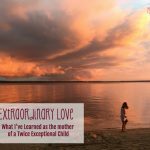 Homeschooling healed that part of our relationship. I could see her without the cloudy, institutional lens. The trappings of traditional education weren’t a part of our interaction. We focused on being together instead. This benefit has permeated the entire family and I’m happy to say my kids are best friends. They aren’t running off to school and spending their days in separate classrooms. Rather, they have time to be together and build relationships through play. The phone rings again, and the number is familiar. But this time I hear the words loud and clear. I pick him up and my heart starts to sing. This post is part of the Gifted Homeschoolers Forum “Happiest Homeschooling Moments: Personal Stories, Inspiration, and Tips” Blog Hop. Such a beautiful and amazing testimony of the benefit of homeschooling for your family! I definitely find encouragement through reading your stories, and appreciate your ability to state your reasons for homeschooling so eloquently. 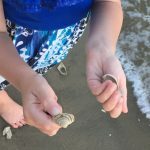 We love our children’s Montessori school, but I definitely understand the peace that can come with homeschooling as well. After homeschooling over this summer, I have fallen in love with it in a new way! You never know! You might decide to do it full time. Seriously, though, if I had access to a Montessori school I would be all about it. It’s not an option for us, unfortunately. 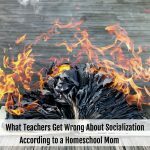 I wish I could convince my husband to homeschool. So many of your reasons resonate with me! I thought you homeschooled! I didn’t realize that you didn’t. It’s wonderful that your children can learn in such an unburdened way! Thank you. I’m glad, as well. I never thought there was anything particularly “different” about my youngest son until he started kindergarten. He, too, had a bad year. There’s nothing like getting off to the worst possible start! Reading this post makes me wish I had started homeschooling long ago, and maybe never fooled with school at all. Love this! Especially peace and freedom bit – my kids are so used to that, anything else would be torture at this point. A great list. One I scream from the rooftops. Today “flexibility” was key bc DS7 had a rough night and needed extra time to have his big feelings. It took all morning to do 15 minutes of academic work…and that was FINE. We spent the afternoon at the library and playing outdoors. Currently, he is going to bed early. love this! true. and beautiful. Thank you, Angela. I’m glad it resonated with you.